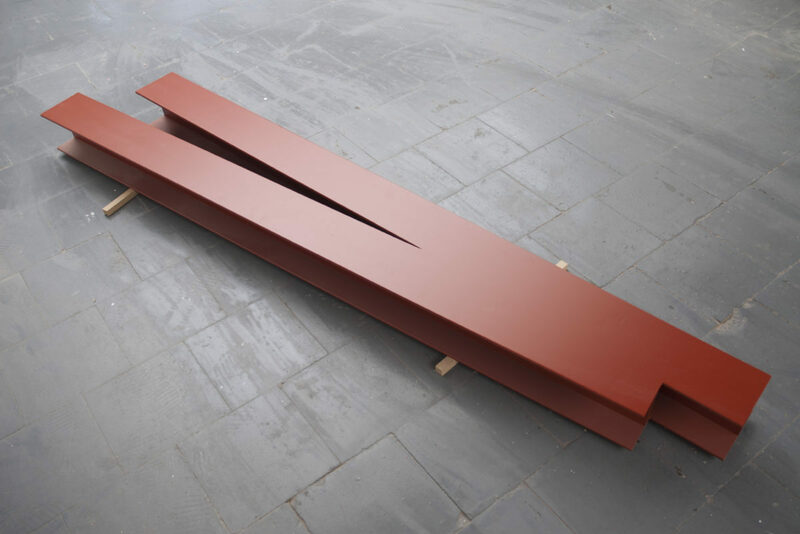 Roeland Tweelinckx, Dobbel beam, 2016, Wood and paint, 250 x 70 x 20 cm. The WORKFLOW project is an initiative in collaboration with visual artist Wim Wauman and fits within his doctorate: Making Waves: A Play with Arts and Crafts, an investigation into the apparent contradiction between making and thinking. WORKFLOW consists primarily of a group exhibition, curated by Wauman, which deals with a number of specific aspects of craftsmanship that can be used to develop a sustainable and / or ‘working’ society model. By critically referring to mass production (consumption and waste), standardization, post-production, uncomfortable employment conditions and positions, etc … the exhibition ‘craftsmanship’ is separated from its nostalgic sound. The central question here is how our interaction with things and with each other, as a cultural (but quasi-global) phenomenon, is inextricably linked to our social vision. The exhibition includes works by more than 20 contemporary artists including Roeland Tweelinckx, Paul Casaer, Luc Deleu, Peter De Meyer, Nick Ervinck, Geert Goiris, Charlotte Lybeer, Sofie Muller, Kelly Schacht and Maarten Vanden Eynde.